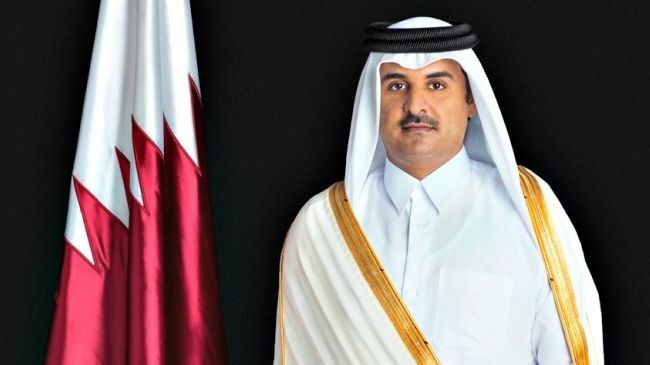 MNA – Qatari Emir Sheikh Tamim Bin Hamad al-Thani on Monday congratulated Iranian President Hassan Rouhani over the 40th anniversary of Iran’s Islamic Revolution. The emir of Qatar sent a congratulatory cable to Rouhani on Islamic Revolution anniversary. Hundreds of thousands of citizens went on marches all over the country in celebration of the 40th anniversary of the 1979 Revolution in Iran which toppled the US-backed Shah regime of Mohammad Reza Pahlavi, an event seen as a turning point in Iran’s history. In the capital Tehran, people swarmed to the streets, chanting anti-US and anti-Israeli slogans and carrying images of Ayatollah Ruhollah Khomeini, late founder of the Islamic republic, and his successor and the Leader Ayatollah Ali Khamenei.